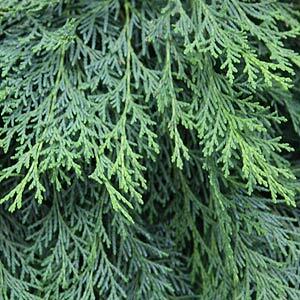 Chamaecyparis are a hardy tree or shrub also known as the ‘False Cypress. In Australia a range of species, and many cultivars are available from specialist wholesale growers. All species grow best in milder climates and are not well suited to coastal conditions or saline soils. Within species foliage and growth habit will differ greatly. Chamaecyparis lawsoniana is the most widely planted with a number of varieties available such as the slow growing cultivar ‘Yvonne’ with golden yellow foliage that will reach around 4m over time. C. lawsoniana ‘Oregon Blue’ is faster growing, blue foliage and a slightly pendulous habit. Low growing types including ‘Minima Aurea’ with its yellow to green foliage and ‘Lutea Nana’ make excellent plants for the rock garden, commercial plantings as well as for growing in containers. The slow growing /Low Maintenance nature of the smaller types make then an attractive solution for commercial landscaping schemes. Slow growing upright, or columnar forms such as C. lawsoniana Alumnigold, and broader spreading types such as the very attractive ‘Snow Queen’ are also readily available from wholesale growers. Widely as hedging plants although low growing or ‘Dwarf’ varieties are available from specialist Chamaecyparis Wholesale Nurseries. The larger growing Chamaecyparis are fast growing and are used as wind break trees.